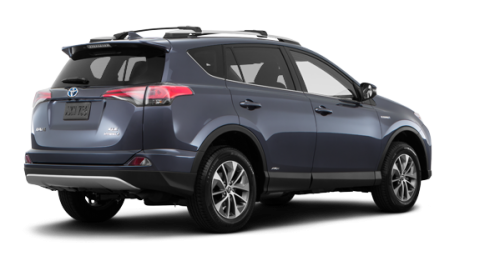 In addition to the full range of Toyota hybrid SUVs, Spinelli Toyota Lachine offers an exceptional choice of pre-owned RAV4. 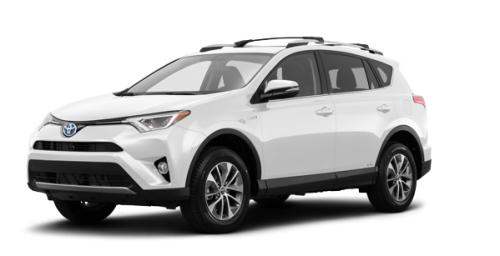 Consumers who choose to buy a RAV4 Hybrid at this Toyota dealership will get all the advantages of Toyota promotions as well as Toyota financing programs. With their athletic size and aerodynamic design, the new RAV4 hybrid near Laval always seem ready to pounce onto the highway and head off into undiscovered areas that are as wonderful as they are unexpected. 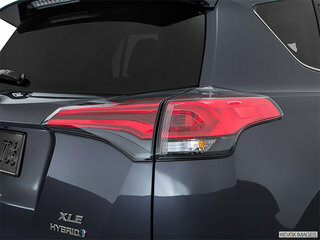 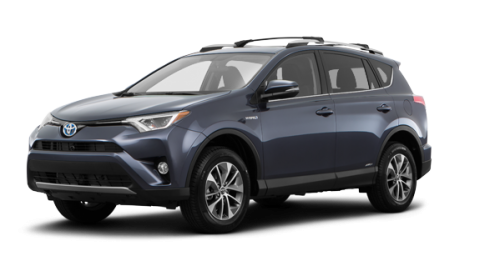 The aggressively designed bumper panels are shaped to optimize air flow over the body and the stabilizing fins reduce turbulence on the road and contribute to the fuel efficient performance of the new 2018 RAV4 hybrids. 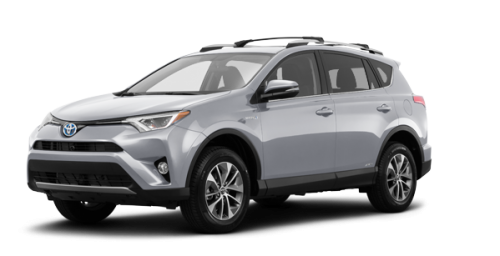 With their hands-free liftgate, the cargo volume of the 2018 Toyota RAV4 hybrids for sale in Montreal near Châteauguay and the South Shore is impressive. 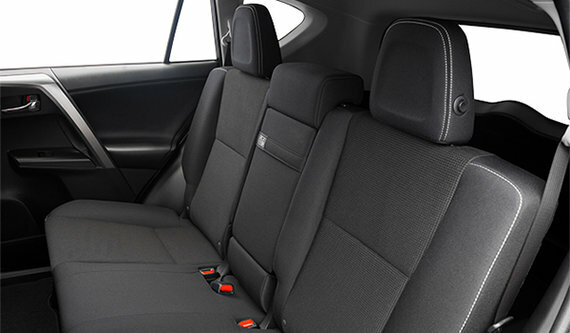 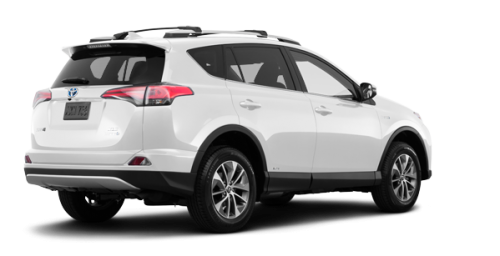 The 60/40 split fold-down rear bench seat allows the 2018 RAV4 hybrid to offer an impressive loading volume of 1008 litres (35.6 cubic feet) behind the rear bench and 1 999 litres (70.6 cubic feet) when it is completely folded away. The 2018 RAV4 hybrids for sale in Montreal at Spinelli Toyota Lachine, across the St. Lawrence River, right next to the South Shore and Châteauguay, are equipped with a CVT transmission and all-wheel drive. 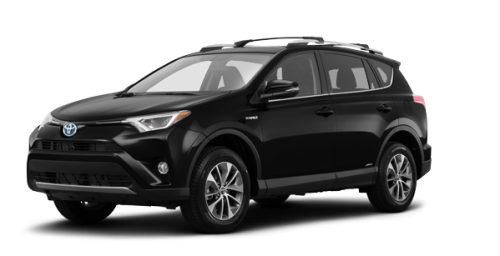 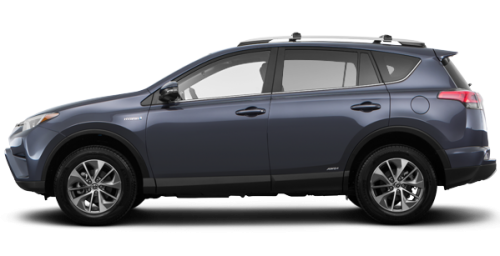 Their 4-cylinder 2.5 litre gasoline engine delivers 150 horsepower and a torque of 152 lb-ft while the electric motor has 141 horsepower and a torque of 199 lb-ft. For a sport utility vehicle, the fuel economy of the 2018 RAV4 Hybrid is remarkable. In the city, the new RAV4 hybrid near Laval consumes 6.9 L/100 km and 7.8 L/100 km on the highway. 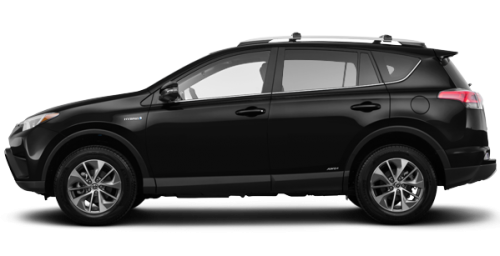 The Hybrid Synergy Drive system of the 2018 Toyota RAV4 hybrid automatically manages the switch from gasoline to electric engine. 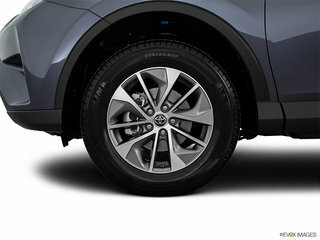 The braking recovers surplus energy to recharge the battery, which means you won't have to plug the vehicle in as often. 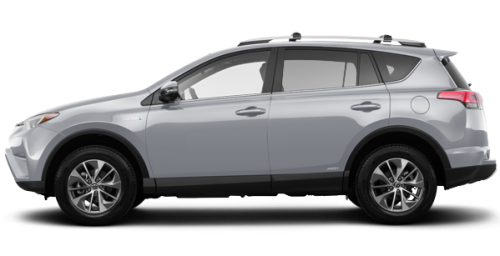 The batteries of the 2018 RAV4 hybrid are guaranteed for 8 years or 160,000 km. The 2018 Toyota RAV4 hybrids for sale in Montreal at Spinelli Toyota Lachine, offer hill start and a backup camera. 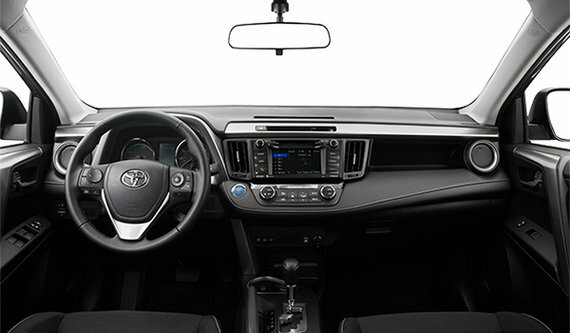 You can complete the Toyota Safety Sense suite by adding optional blind spot monitor with rear cross traffic alert. 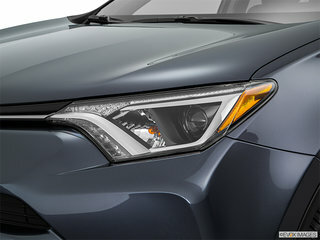 Don't forget that the Toyota Safety Sense suite includes the precollision system with pedestrian detection, lane departure warning with steering assist, automatic high-beams and dynamic radar cruise control.